It's been 5 years since John Gorka's latest studio album. 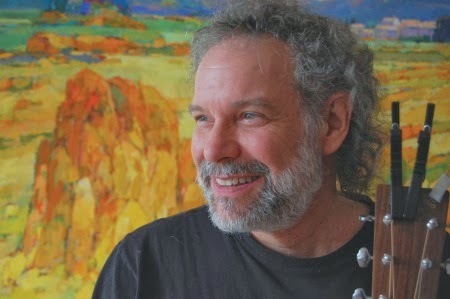 There was the Red Horse collaboration with Lucy Kaplansky and Eliza Gilkyson in 2010 and they both turn up as backing vocalists on his forthcoming new album Bright Side of Down. Gorka has a warm baritone, the kind that fits his gentle storytelling folk songs like a glove, using a full band with a lonesome fiddle or going solo with his acoustic guitar, showing his picking skills. Gorka is an artist's artist. His less is more approach and carefully executed songs earned him a small but loyal fanbase. Twelve albums and counting, John Gorka has added another chapter to his songbook that will continue to inspire his fellow Americana artist. Bright Side of Down is released on Red House Records. Release date: March 4. HCTF review of Red Horse.